Professional half day intensive course. 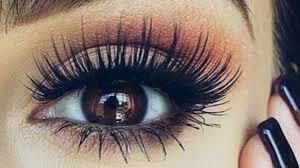 This one day training course will provide you with all the theory and practical information needed to safely apply Semi Permanent Lash extensions. The Course includes: Client preparation, consultation, lash mapping, contraindications, contra actions, Health and Safety, Aftercare advice, product information, procedure steps for correct and safe application of lash extensions. Certificate will be issued once the student has completed 2 case studies. You will be issued with a Diploma in Semi permanent Lash extensions and the course is fully insurable to be able to start off your career in this exciting industry! A course manual will be emailed to you on booking.